After 35+ years of sofa matchmaking, we’ve learned a thing or two about how to help people find comfortable sofas. While comfort is different for everyone, in our experience the sofa’s seat depth, seat height and cushion firmness determines if a sofa will be comfortable for you. 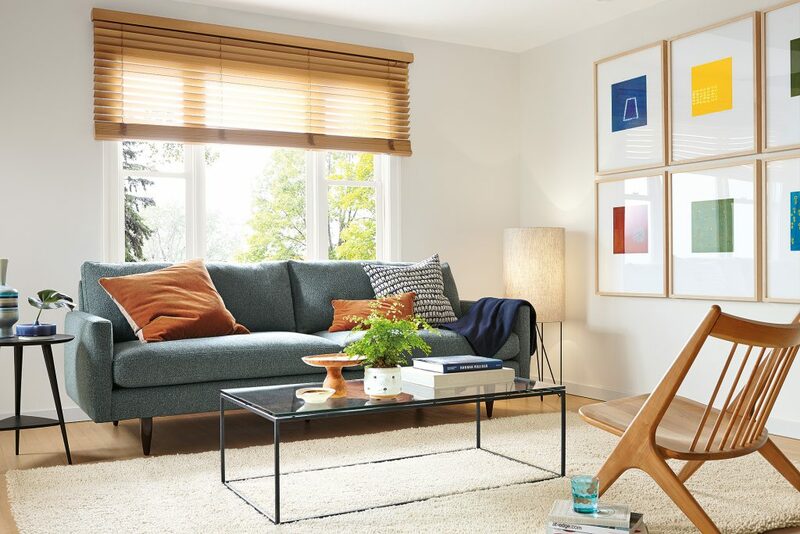 With the help of our Compare Sofas by Comfort guide, you can shop like Goldilocks and find a sofa that’s juuuust right. Here’s how. 1) Consider if you want soft cushions or firm cushions. Soft sofas offer plush, enveloping comfort. Consider a soft-cushion sofa if you like a relaxed, sink-in feel. The Bryce sofa has the deepest and lowest seat of our soft sofas. This is a great lounger to tuck into for a nap or movie thanks to it’s generous seat depth and soft down cushions. The low seat height invites you to stretch your legs. 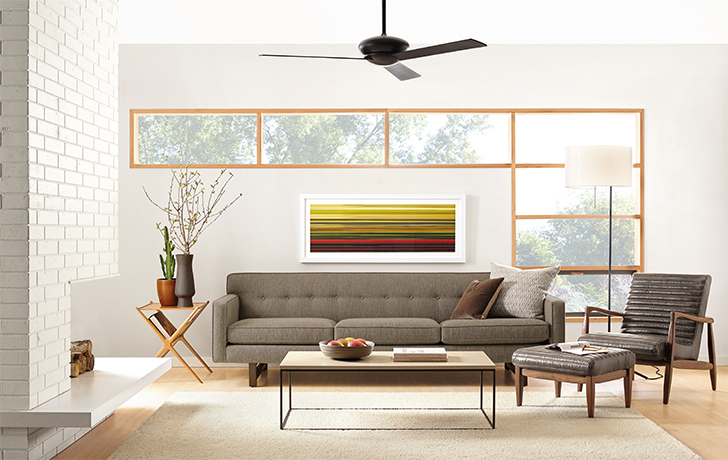 Firm sofas provide structured, even comfort. Consider a firm sofa if you like more resistance and support in your seating. Jasper is a crowd pleaser. Its soft cushions and moderate seat depth and seat height mean that it’s comfortable for most. 2) Then think about the seat depth. Shallow seats offer an upright feel and keep shorter legs from dangling. They also help your back feel fully supported. During a recent sit test, we discovered that Watson is the perfect sofa for people who are under 5’5”—no dangling legs thanks to a shallow seat depth. Watson’s high seat makes it easy to stand up from the sofa, too. Consider a deep seat if you like to lean back at a generous angle or tuck your legs onto the seat cushion. If you’re tall, deep seats tend to feel best. Hutton’s deep seat plays off the formal style of the welted box cushions for curl-up comfort that maintains a tailored appearance. 3) Last but not least, think about seat height. 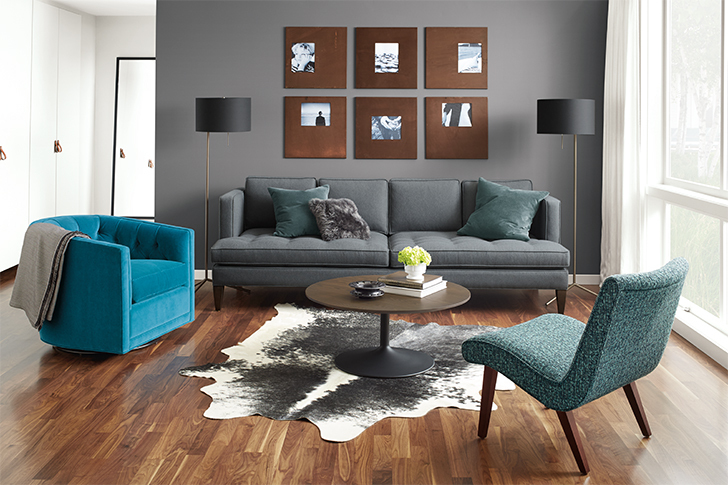 High-seat sofas have a height similar to a dining chair, making it easier to stand up when you’re finished lounging. If you want an upright feel, consider a sofa with a high seat. Whether you’re lounging or entertaining, Andre’s tight back stays neat looking while the plush seat cushions tempt you to linger. Low-seat sofas invite you to stretch your legs out and lean back. 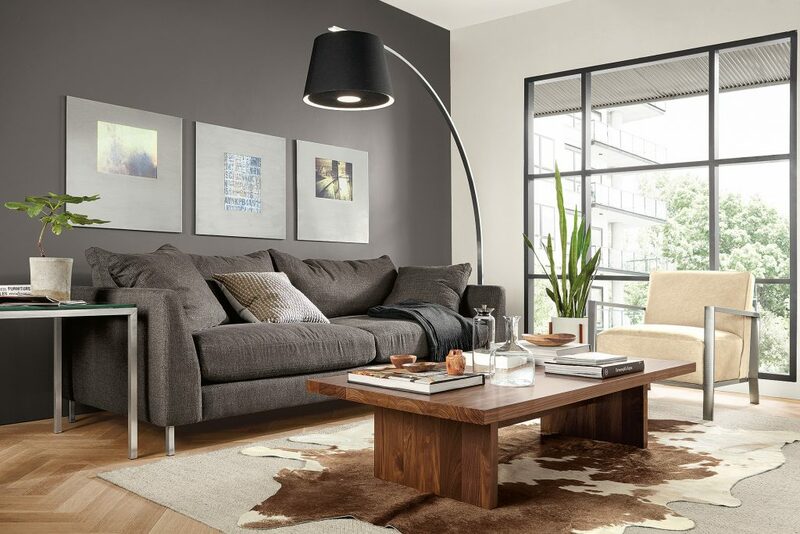 Consider a sofa with a low seat for a more relaxed feel. Goodwin features a low seat height with firm comfort. Once you have an idea of which firmness, seat depth and seat height you might like, click on the sofas in that section of the guide to see specific dimensions, photos and customer reviews. 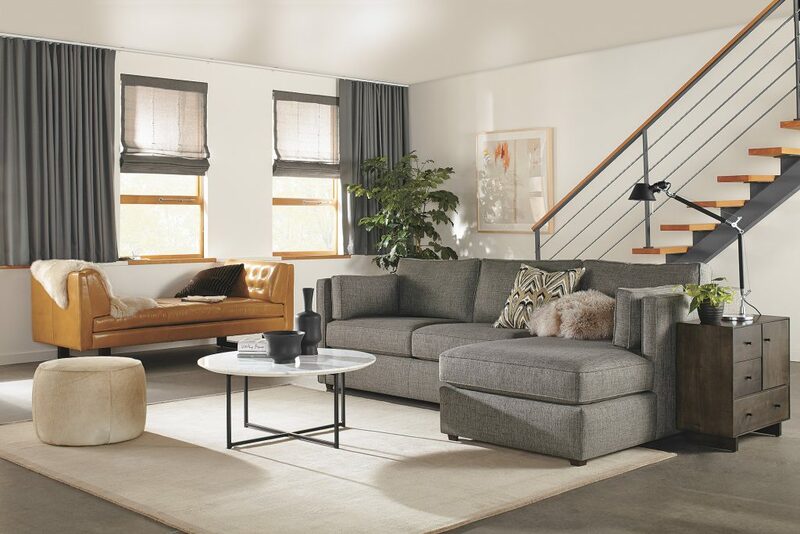 The Compare Sofas by Comfort guide is a great way to start narrowing down your options if you’re shopping online or if you’re preparing to visit one of our stores. If you need more personalized advice, our Design Associates have sat in every Room & Board sofa and can help you get comfortable. Hi great post! Are the bird prints above the Goodwin sofa from Room and board? Yes! The bird prints are by photographer Paul Nelson and exclusive to Room & Board. You can shop the entire collection here:http://bit.ly/2xzPich. Thank you for sharing the article. It was really informative.